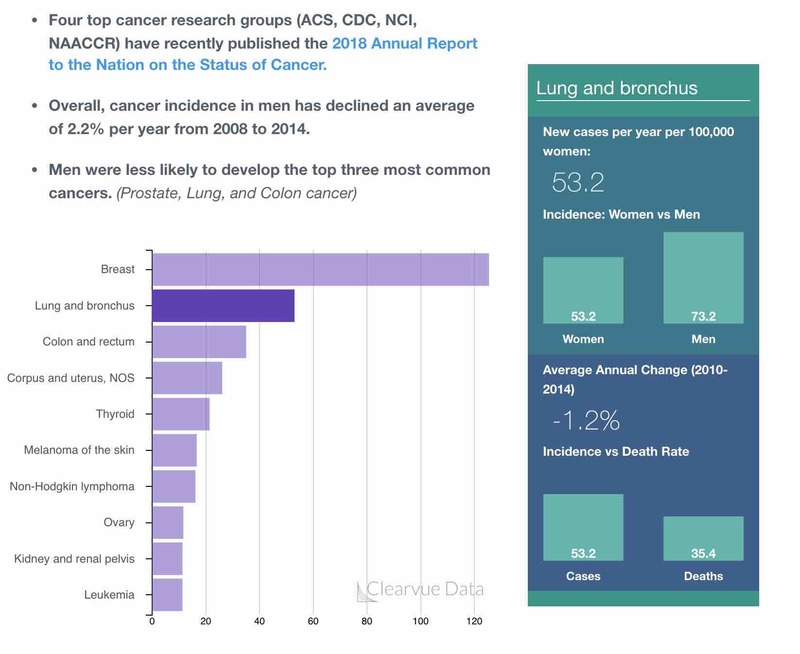 Four top cancer research groups (ACS, CDC, NCI, NAACCR) have recently published the 2018 Annual Report to the Nation on the Status of Cancer. 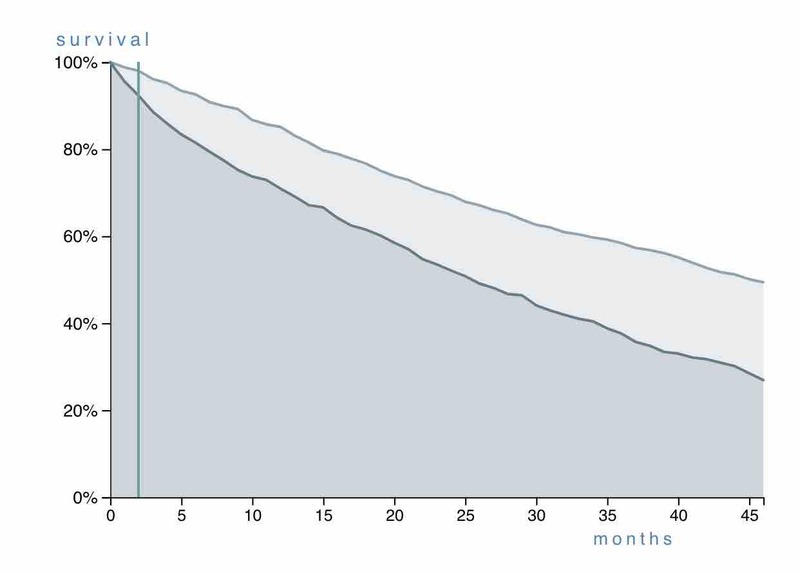 Overall, cancer death rates for women declined an average of 1.4% per year over the most recently studied 5 years while incidence rates have remained stable. 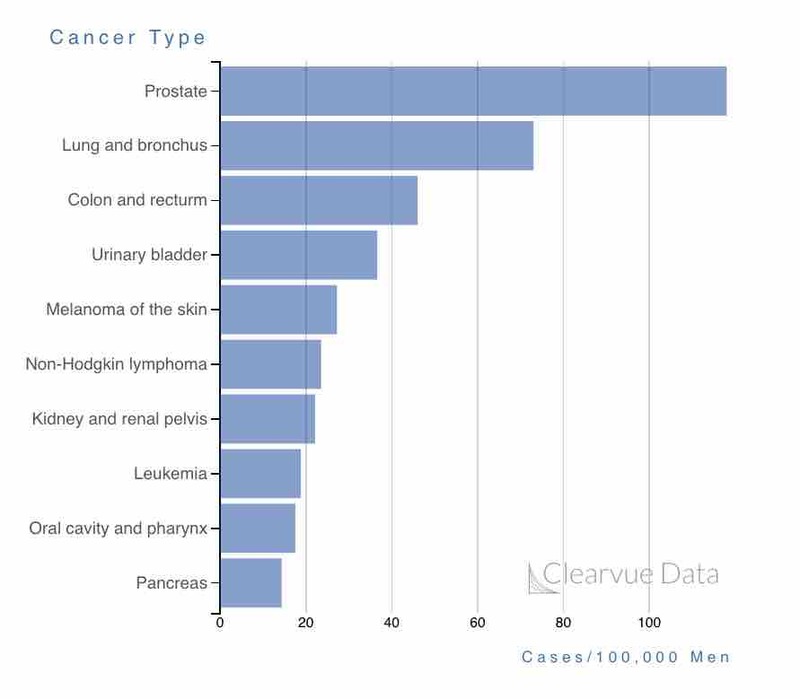 Lung cancer remains the deadliest cancer for men and women. The decline of cigarette smoking is believed to contribute to the decrease in cancer deaths. This study was one of the largest surveys of cancer outcomes covering 3.5 million total cases in women. Lung cancer remains the deadliest cancer for women in the United States. 80-90% of lung cancer deaths are driven by smoking, though many non-smokers do get lung cancer as well. Fortunately, thanks to a decline in cigarette smoking in the United States, lung cancer deaths are falling. However, we can expect that lung cancer will remain the deadliest cancer for some time since there are still many smokers and because smoking can increase your risk of cancer even if you stop. Fortunately, thanks to great treatments, the death rate of breast cancer is significantly lower than most other cancers. New drugs such as HER2+ kinase inhibitors and PARP inhibitors have cured many patients with certain types of breast cancer. However, there remains much more progress to be made for other types such as Triple Negative Breast Cancer. The death rate is falling partly because of colonoscopies which are highly recommended for middle aged men and women. Colonoscopies can literally "nip colon cancer" in the bud before it starts by removing pre-cancerous lesions. However, if not caught, colon cancer is very deadly once it spreads. Pancreatic Cancer is a relatively rarer cancer, but it is particularly deadly. The majority of women who get pancreatic cancer will die from it. 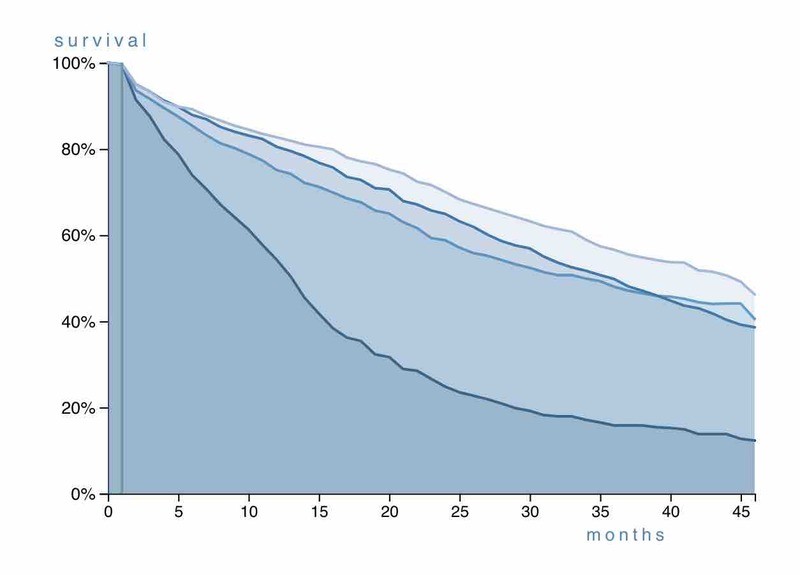 The 5-year survival rate is around 5-20% depending on the source. The symptoms are vague, so it's difficult to catch early. Ovarian cancer, like breast cancer, can be easily treated if caught early. However, there are few good ways of catching it early, unlike breast cancer and mammograms, which is why it has a higher death rate than breast cancer. New drugs such as HER2+ kinase inhibitors and PARP inhibitors have cured many patients with certain types of ovarian cancer. Leukemia is known as a "liquid" cancer as it is a cancer in your blood. Fortunately, because it doesn't have solid masses like tumors, it can be more readily treated. There are many subtypes of leukemia, some of which have very effective treatments. These refer to cancers that arise in the pelvis in the uterus, endometrium, and myometrium. Similar to breast cancer, tehse cancers are relatively common, but they are detected early more often. Uterine cancer can be caught early due to the presence of unique symptoms such as abnormal bleeding. If you are experiencing any abnormal symptoms, be sure to talk to your doctor. Non-Hodgkin Lymphomas refer to cancers that arise from your immune cells, including B-cells and T-cells. They can slowly grow over many years, or can aggressively grow in a few months, though this is less common in adults. Fortunately, the prognosis for Non-Hodgkin Lymphoma tends to be better than other cancers. Some types have survival rates of 80-90%. The most common type is Hepatocellular Carcinoma. They are often caused by external factors such as Hepatitis, obesity, and diabetes. This is a particularly deadly form of cancer once it arises. Fortunately, many of the most common causes of liver cancer are treatable early, before it becomes cancer. Brain cancer is relatively uncommon, but it is very deadly. These are a group of very diverse tumors, some of which are deadlier than others. Many cases are caught when patients have symptoms such as a headache or seizure. The most common types are actually caused by cells from your meninges, the protective wrapping around your brain, and your glial cells. Cronin, K. A., Lake, A. J., Scott, S., Sherman, R. L., Noone, A. M., Howlader, N., ... & Kohler, B. A. (2018). Annual Report to the Nation on the Status of Cancer, part I: National cancer statistics. Cancer. Always consult appropriate health care professionals on any matter relating to your health and well-being. If you think you may have a medical emergency, call your doctor or emergency services immediately. The material on this site is intended to be of general informational and educational use and does not constitute medical advice. © Clearvue Health LLC. All rights reserved.